The Blackburn Firebrand was a single-engine fighter aircraft designed to Air Ministry Specification N.11/40 by Blackburn Aircraft. Initially, it was designed around the Napier Sabre III in-line engine as a single-seat fighter for the Fleet Air Arm, but later during the WWII its role was altered to torpedo-bomber and the powerplant was changed to accommodate the Centaurus radial engine. Following the Mk.I/II/III variants the next development was designated the Firebrand TF Mk.IV (B-46), fitted with larger tail surfaces, horn-balanced rudder and wing dive brakes. The TF.IV first flew in May 1945 and was the first version of the Firebrand to enter mass production, with 102 aircraft built. The ultimate Firebrand TF.V featured minor aerodynamic improvements and was also built in large numbers, with 68 entering service. A further 40 TF.IVs were converted to the TF.5 standard. The Firebrands remained in front-line service with the FAA squadrons aboard the Royal Navy carriers until 1953. This full resin kit contains 89 parts, including various external stores, vacu canopy (a spare set is included for modeller's convenience), two clear parts and two photo-etched frets (one coloured one). 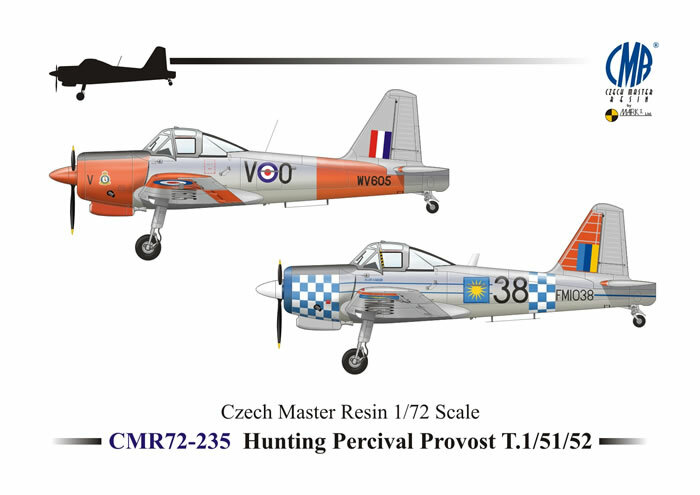 The decal sheet also includes a full set of stencils, for which placement on the kit a detailed diagram is included in the highly-detailed instruction leaflet. The Provost was a single-engine basic trainer designed in late 1940s by Hunting Percival to Air Ministry specification T.16/48. It was a low-wing monoplane with a fixed tail-wheel undercarriage. It had two seats side-by-side with dual controls and a sliding canopy. The production aircraft, of which some 460 had been completed by 1956, were powered by then Alvis Leonides 25 radial piston engine. The Provost entered service with the RAF in 1953 with the Central Flying Schools. The aircraft served with the RAF until the early 1960s, when it was replaced by the Jet Provost. The piston-Provost was also exported, with the first order placed by Southern Rhodesia, while a number of aeroplanes were also obtained by Ireland, Burma, Sudan, Oman and Malaysia. This full resin kit contains 43 parts, including various external stores, vacu canopy (a spare set is included for modeller's convenience), four clear parts and two photo-etched frets (one coloured one). The decal sheet also includes a full set of stencils, for which placement on the kit a detailed diagram is included in the highly-detailed instruction leaflet. 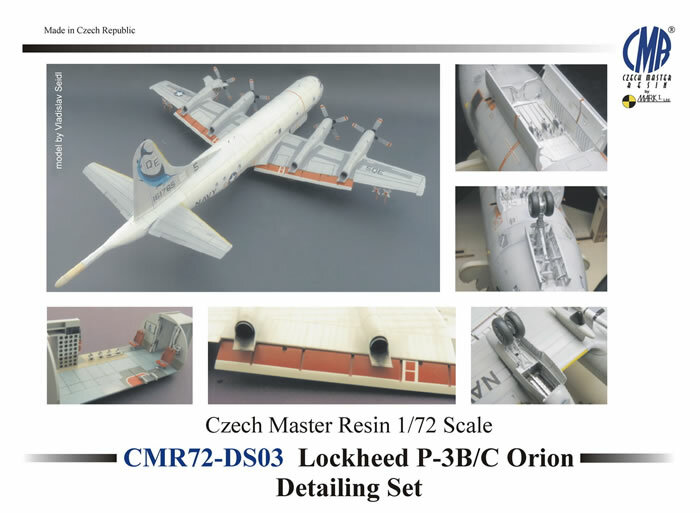 This detailing set is designed to be used with Hasegawa and Revell kits. 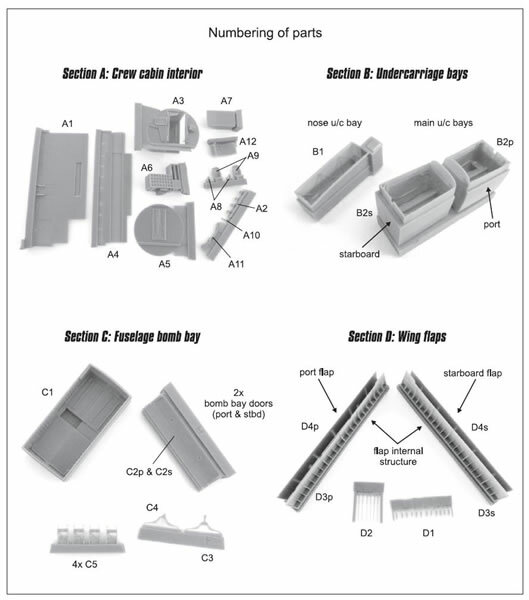 It enables the modeller to upgrade these kits with resin parts for following kit sections: crew cabin interior, undercarriage bays, the fuselage bomb bay and the wing flaps. This set contains 51 high-quality cast resin parts and a detailed instruction leaflet, in which the colouring notes for each section are also provided. These new releases are available now, so please visit these on-line stockists for any orders you may wish to place.